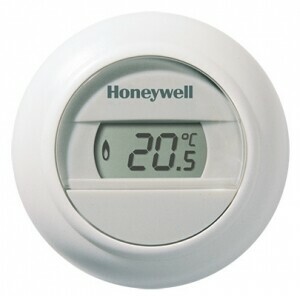 Electronic room thermostat for heating control of modulating central heating appliances based on OpenTherm ® communication. Simple operation by rotating the ring with clear digital display for display of set and actual temperature. Indication of flame symbol when the boiler is switched on. Easy to mount on the wall or on a recessed junction box.